The Wii looks like a toy for grown-ups. Where the Nintendo DS was built like a pencil case, and the GameCube's Fisher Price-ish body had a handle for swinging it at your siblings, the Wii is white, sleek, and fragile. You attach a thin sensor bar to the top of your TV and slide delicate straps through plastic clips to hold the controllers together; woe to anyone who takes a swing at it after eating BBQ potato chips. That isn't to say the Wii isn't fun; it's just a new kind of fun, and it takes getting used to. Instead of fighting Microsoft and Sony with a brawny, high-def-ready monster console, Nintendo devised something simple and ingenious: a motion-detecting controller modeled after a simple TV remote. You can use it just by waving it in the air: To play a tennis game, you swing the "remote" like a racket. To aim a sniper rifle, point at the screen and pull the trigger. If you need two hands—for example, to box—you hold the remote in one hand and a separate "nunchuck" attachment in the other. And maybe, just maybe, LucasArts will make a Wii lightsaber game—and bring western civilization to its knees through sick days and school closures. The Wii doesn't sport fall-over-realistic graphics, but so far, the games make up for it. Excite Truck has bright, frantic visuals that get by without the extreme detail of a Project Gotham Racing 3. The Legend of Zelda: Twilight Princess just had to look better than all the other Zeldas. And while Wii Sports features ridiculously simple figures that look like Weebles, you get to customize them and use them as avatars in other games. Most other titles let you play from the couch. In Excite Truck, you hold the controller sideways and turn it left or right to steer, or tilt it back to catch air as you hurtle off a cliff. But the more conventional Twilight Princess reveals the Wii's biggest challenge: playing like a normal console. 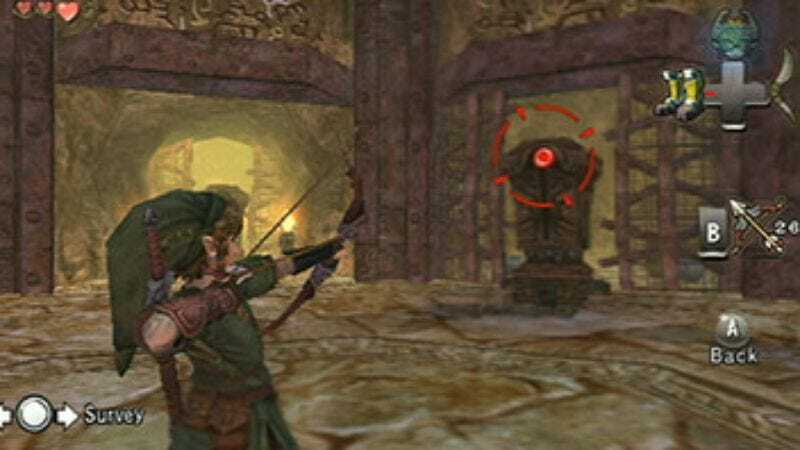 While some of its actions take advantage of the motion detection—like swinging a sword, or aiming a slingshot—most of the game uses the same thumbsticks-and-buttons model as the GameCube, only split across two devices. Luckily, the Wii controls not only suit the task, they're actually more comfortable; you can slouch much better with your hands at your side than in your lap. Time will tell how many titles push the controller's limits, and how many throw in motion-detection as a gimmick—the way so many DS titles barely use the touchscreen or mic. Multiplatform hits may not overhaul their gameplay just for the Wii, and there's a risk with violent action games that the controller will just seem delicate. And the remote's built-in speaker, while a good idea, is jarringly lo-fi. The Wii is poised for success. It's novel, it'll make you think it has all the horsepower you need, and at $250, it's practically an impulse buy next to its next-gen competitors. But along the way, the Wii has defined a new kind of pervasive gaming. Look at the intuitive controls and the soothing Wii menu, and you'll feel like this should always be switched on and ready to play. It wants to be a part of your home, like a kitchen-countertop TV or a driveway basketball net. Even if you only use it for the next Zeldas and Maddens, it's laid the groundwork for something subtler—a style of gaming that's as simple as waving your hand. Next week: We review the PlayStation 3.